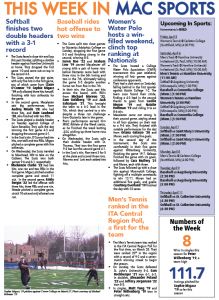 Home » Should Macalester keep playing football? In the late 1800s, a German man named Frederick Hoffman immigrated to the United States. He found himself a job at the Prudential Insurance Company, where, as a senior statistician, he travelled the country each year trying to ascertain the common causes of death for Americans. This was important information for the executives at Prudential, who needed to know what to charge their clientele for life insurance, and Hoffman was a talented observer. In 1915, he was among the first to link cigarette smoking to cancer. Then, in 1918, he issued another groundbreaking report. People had been aware that coal miners inhaled an exceptional amount of dust in their day-to-day lives for years. But they were not, by and large, alarmed. Miners were believed to have lower rates of tuberculosis than the general population, and some argued that the amount of coughing they did was a sign that their respiratory systems were actually in very good shape. But Hoffman’s report was clear: not only did miners contract tuberculosis at the same rate as the general population, but they were five times more likely than the general population to die of what would come to be known as black lung disease. The response? There wasn’t one. Hoffman’s report was shouted down by interests from the powerful coal industry on the basis that his report was not conclusive – suggestive, but not absolute. Fast forward to 1975. That’s when Congress, the evidence having become insurmountable, finally passed legislation protecting coal miners and set up benefits for those affected with black lung disease. At this point in his narrative, The New Yorker writer and national bestselling author Malcolm Gladwell, telling this story on an episode of his podcast “Revisionist History” turns to a modern day corollary: football. The Macalester football team. Photo by Jennifer Harmon Lewis. It is not known, beyond a shadow of a doubt, exactly how and how much the repeated hits to the head absorbed by football players hurt the brain. But evidence is mounting that the impact of those hits is very serious. Of the 53 college football players studied by doctors at Boston University, 48 showed symptoms of Chronic Traumatic Encephalopathy (CTE) – a neurodegenerative brain condition linked to dementia, depression and suicidal ideation. 110 of 111 former National Football League (NFL) players were affected. So Gladwell asks this: given the nature and trajectory of the evidence, how can educational institutions – who are responsible for keeping their students safe – continue to sponsor football? There is a clear answer: money. Specifically, in a Division-III context, there are two major reasons why colleges sink resources into their football programs and will not, at this point, consider shutting them down. “Why don’t we just stop [football]? Honestly, there are practical reasons,” Macalester President Brian Rosenberg said. “A surprising number of college students make their decision on the basis of athletics, and so you probably hurt your admissions effort. You’re going to get an outcry from alumni who are attached to football or athletics. Graphic by Morgan Doherty ’21. 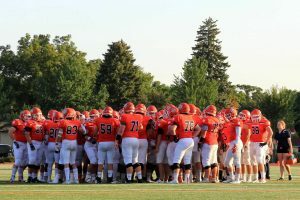 Macalester head football coach Tony Jennison said that back in 2003, when the college was considering cutting football for competitive reasons, the admissions office was a strong proponent of retaining the program. Jennsion also spoke to Rosenberg’s latter point about alumni. Generally, athletes are more generous financial supporters of their colleges or universities after graduating than non-athletes. That might hold true at Macalester as well. Of course, any financial considerations aside, there are those who are not convinced by the data on CTE so far – who believe that football is becoming safer and should continue to be played for years to come. Macalester’s team, for instance, does not tackle in practice. There have also been rule changes at all levels of the game designed to protect players’ heads, as well as an increasing level of knowledge and awareness among coaches and trainers about how to best manage head injuries. Jennison, who said he suffered one concussion during his career at the University of Wisconsin-La Crosse, does not worry about the effect playing football has had on his own brain. What would it take to convince him that football causes traumatic brain injuries at a rate appreciably higher than other activities and sports? “I guess I would need to see a lot more data,” he said. “The hard part is you can’t open up my brain and look at my brain to see – and who is to say that just because I played football, if there is something in there, that it was football related? Jennison said that he has not, to his knowledge, ever directly addressed brain injuries with his team or the potential long-term cost of playing football more broadly with his team. But according to safety Kiante Miles ’20, players are well aware of the risks they are taking each time they suit up. Offensive lineman Josh Wink ’22 agreed. Despite that, the game’s long-term risks are generally not a topic of conversation among players. “No one wants to bring it up, per se,” Miles said. “You don’t really want to stop and say, ‘I’m killing my brain, I’m killing my body, I’m only going live to 40, 45, 60.’ You don’t really want to talk about it, because it’s such a somber thing. Wink said that, in his experience so far, discussions about player safety happen only in response to inciting events – like earlier this year when, in an Oct. 6 game at Beloit College, quarterback Cody Petrich ’19 suffered a serious concussion. “I remember I talked to him at halftime and he was kind of out of it,” Wink said, “and then on the bus ride back, I was in the first bus and he was on the second bus, and Paula [Natvig], our trainer, is on the first bus. 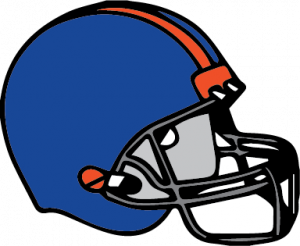 Head injuries were a theme this year for Macalester football. Miles estimated that, in total, between high school and college, he has suffered eight to 12 concussions – the last of which came during the Oct. 6 game at Beloit. Only four of those concussions have been officially diagnosed. Next year, out of concern for his health, Miles will play exclusively as a holder on the field goal unit – avoiding all contact. He said that his brain is currently functioning at “85 percent of what it used to [work at],” and that he is having difficulty with his speech and general processing. “It’s been a really long, difficult process for me these last couple of months since I got this last one to realize what I did to myself, in a sense, and think about the next generations and think about your own children,” Miles said. 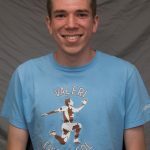 Unlike Jennison, Miles is unsure whether he would let a child of his play the sport – crediting it for giving him experiences and skills he otherwise would not have had, but voicing concern about the risks involved. Miles’ mother could likely relate. When she and Miles went to see “Concussion,” a 2015 movie starring Will Smith as a doctor researching CTE, she had to leave the theater after just 15 minutes. “I was like ‘Mom, why are you leaving?’ And she said, ‘If you want to continue to play football, you’re going to let me leave this movie,’” Miles said. Similarly, Wink said that he promised his mother before coming to Macalester that if he ever suffers a concussion that sidelines him for more than two weeks, he will stop playing. “I don’t play football because I love football,” he said. “I love the aspects of the sport that aren’t on the field. I love the relationships that I can build with my teammates. Miles is staying with the team for similar reasons. He said that people will always play football, either because they love the game and what it can provide them, or because it can be a pathway to educational and economic opportunity. The question is, should colleges and high schools continue to sponsor it? Wink predicted that football could go the way of boxing: a once-popular sport pushed out of educational institutions and the American cultural mainstream because of concerns about violence and competitor safety. If there is a turn away from football at the collegiate level, where might it begin? Rosenberg pointed to a particular kind of university. But there is evidence to suggest the most selective and wealthy schools are going in the other direction. The University of Chicago, whose team competes in the Midwest Conference with Macalester, has tried to increase the visibility and competitiveness of its program in recent years. For now, even in schools, football doesn’t appear to be going anywhere. Only time will tell what the consequences will be.